The birth of a child should be an exciting moment, but for one family in South Dakota, it was the start of a 29-year long journey for their daughter that still continues today. 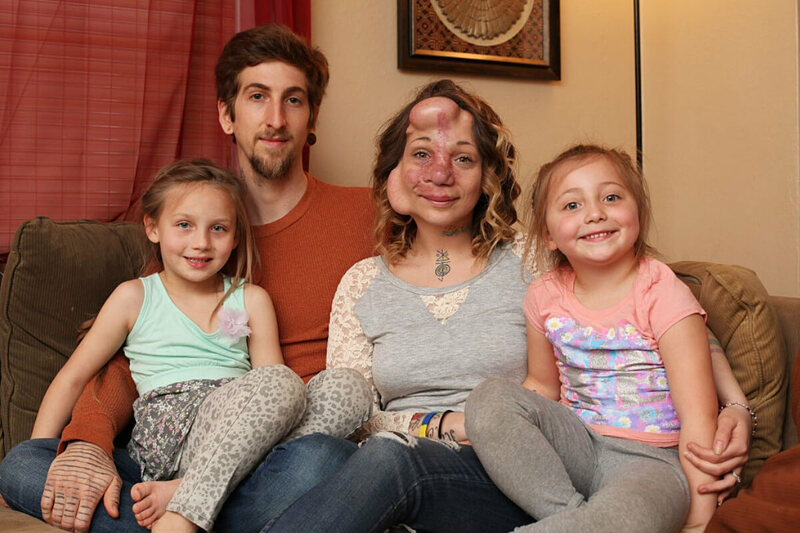 What two parents believed was a beautiful birthmark turned out to be their daughter’s worst nightmare. 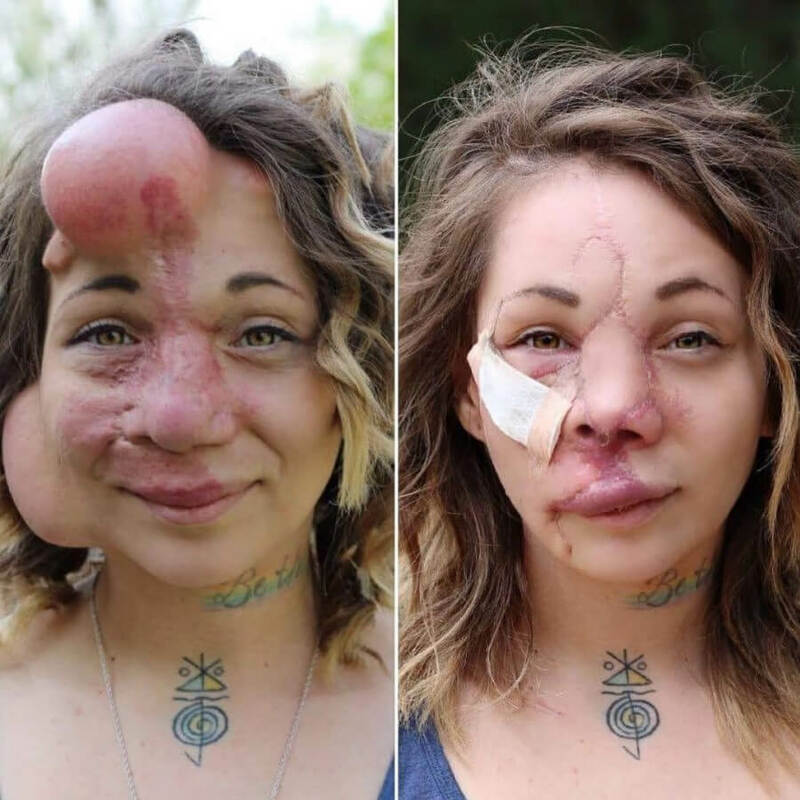 After a lifetime of bullying, years of near-death experiences, and more than thirteen surgeries, Jennifer Hiles is finally beginning to live her life after having to live with balloons underneath her skin. 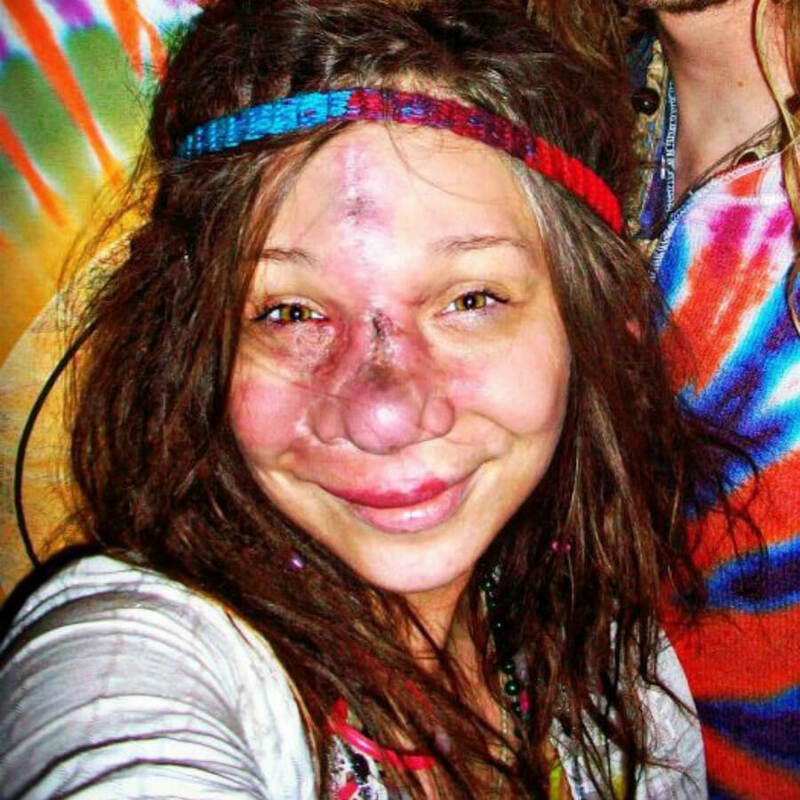 Continue on to read about Jennifer’s incredible journey and see what she looks like today. When Jennifer Hiles was born on June 26, 1987, in South Dakota, her parents couldn’t have been more excited. She was a happy baby with tons of personality. Jennifer did have a reddish colored birthmark that stretched between her eyebrows and nose, but the parents thought nothing of it. To them, it was just another thing that made their baby unique. 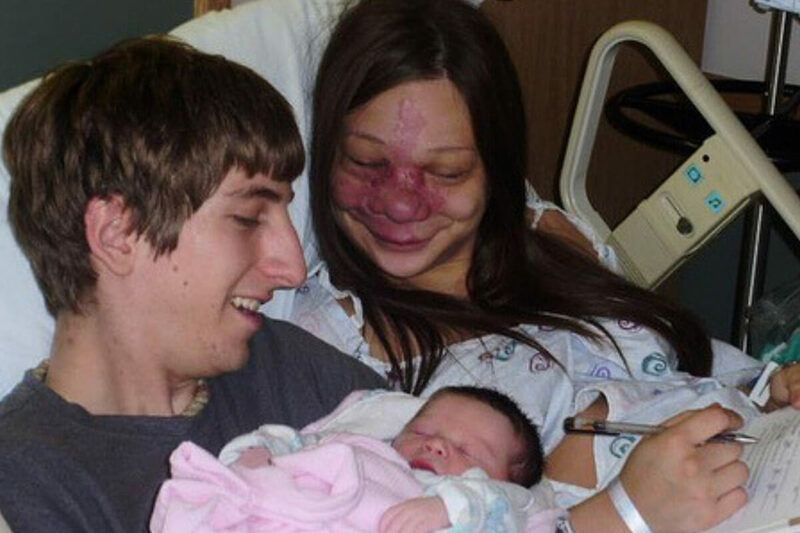 At only three months old, Jennifer’s parents began to suspect something was wrong. Jennifer would bleed heavily from her nose, mouth, and gums. She constantly needed to be rushed to the hospital. No doctor could explain why this random bleeding was occurring, but they knew they had to do something about it. Over the next few months, before Jennifer had even reached her first birthday, she underwent multiple blood transfusions. She was losing so much blood constantly that they could barely keep her body functioning. Doctors guessed that it could have been hemophilia, a condition where blood doesn’t clot, but they’d never seen hemophilia like this. For years after this, Jennifer lived every day not knowing if her mouth and nose would spontaneously start bleeding. She underwent numerous transfusions and even began trying different surgeries that might help stop the bleeding. Nothing seemed to provide an answer until she turned eight and that simple birthmark would begin to tell the truth. While the experience must have been unimaginably difficult for Jennifer, it was equally hard on her parents. 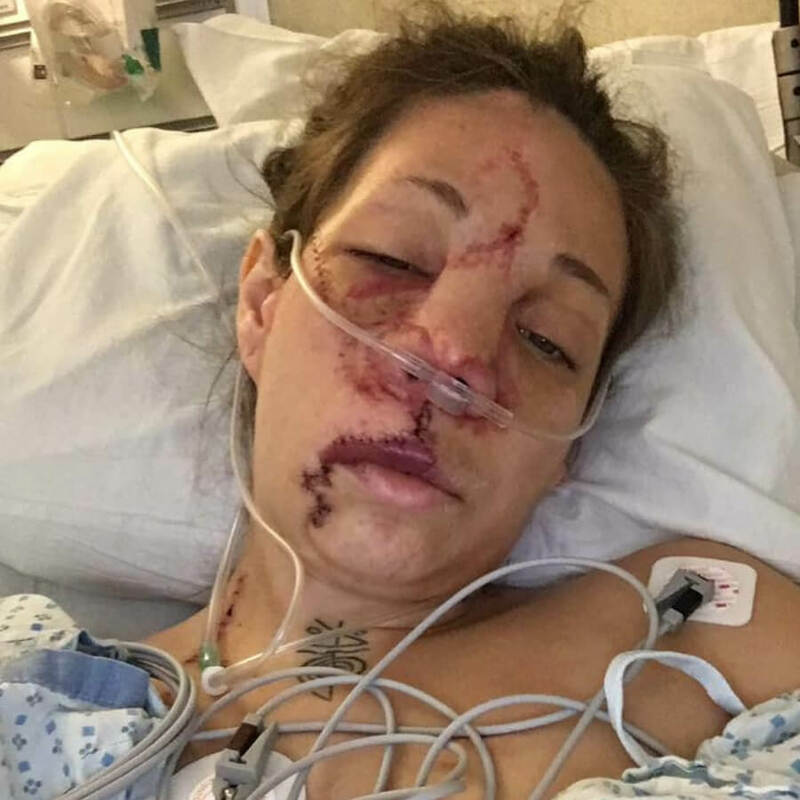 Jennifer’s mother, Alfreda Simms, said that not only was it hard to watch her daughter go through multiple surgeries, but she feared for her life every day. There were even times where Alfred wouldn’t sleep at night because she was worried Jennifer would bleed in the night. What had seemed like a beautiful and unique birthmark turned out to be much, much more. When Jennifer was eight, the birthmark began to swell. 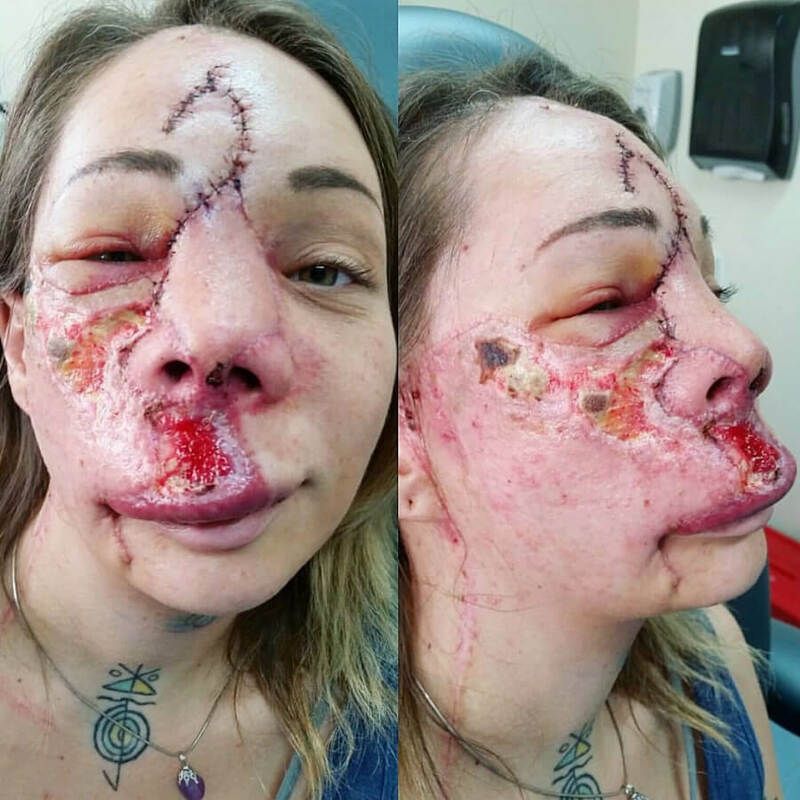 The swelling was no only painful, but it stretched and pulled on her skin. 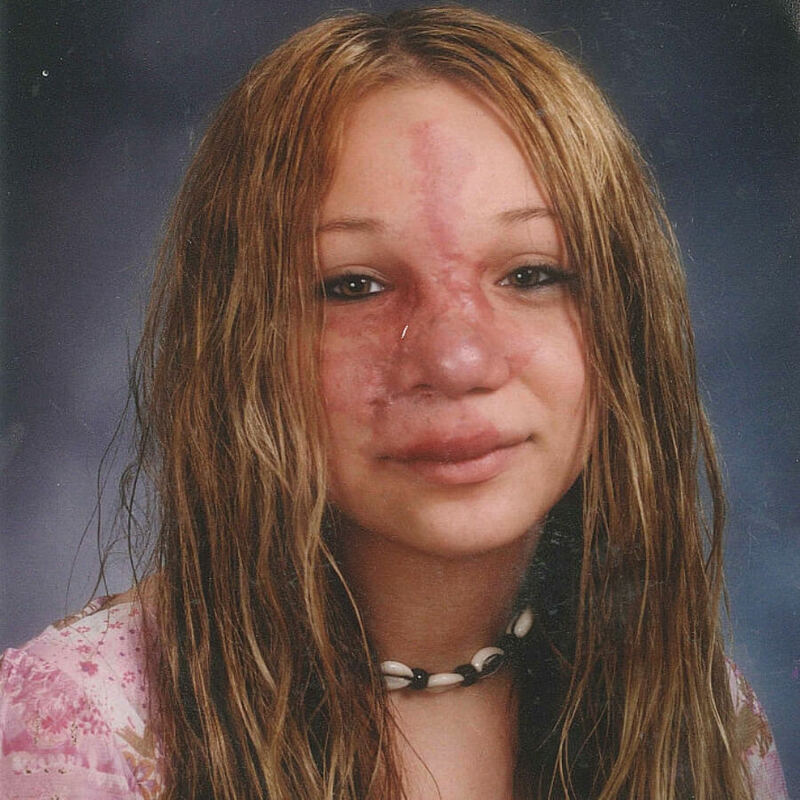 Jennifer wasn’t even ten before she began undergoing laser treatments for her skin. The laser treatments were a short-term band-aid but never provided a full solution. Well into her teens, Jennifer’s swelling and bleeding continued. The family continued to visit different doctors for new and different opinions on what could be the issue, but it seemed like no doctor in America had any idea what was going on. Finally, in 2000, Jennifer’s grandmother was watching television when she saw a program with a doctor treating a patient that reminded her of Jennifer. The grandmother immediately called the Hiles family. They reached out to the doctor and at long last, they were on their way to getting an answer. The doctor informed Jennifer that she has a rare condition called arteriovenous malformation, or AVM. The condition means that your veins and arteries are “tangled” and connected in abnormal ways. If they don’t connect correctly, there was constant and continuous bleeding. 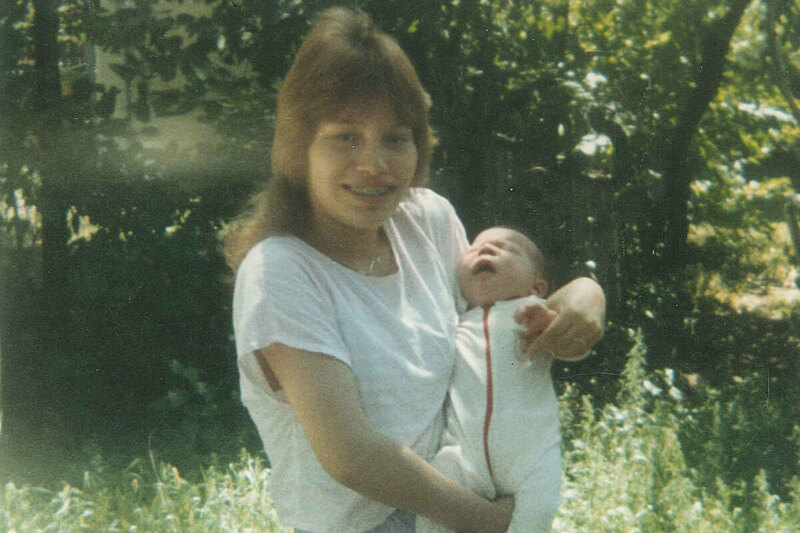 Many people with AVM live life without any symptoms or consequences, but Jennifer was a unique case. Now that Jennifer knew what she was dealing with and had a doctor with experience in the field, she began surgeries specifically for people with AVM. The initial surgeries were spent trying to understand which veins and arteries were “tangled” and how she would solve them. Luckily, in the hard journey, she wouldn’t be alone. 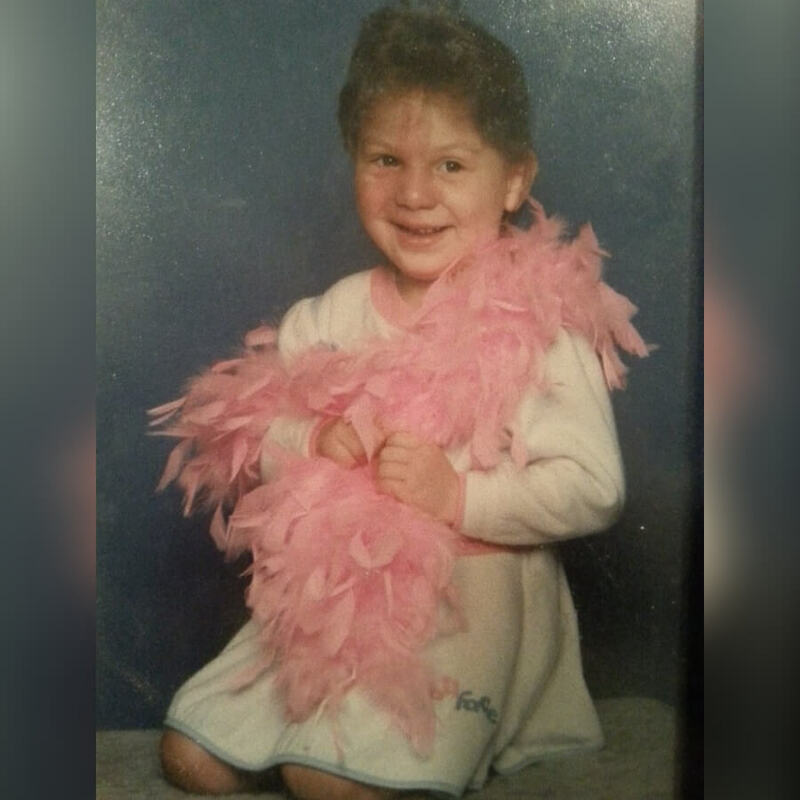 Despite all her difficulties, Jennifer always tried to feel and act like a normal kid. 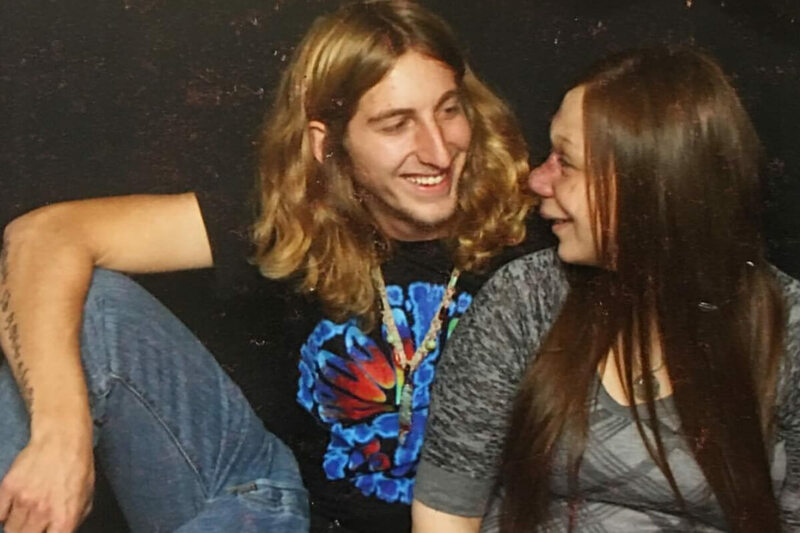 It wasn’t until she got her first boyfriend that she realized how different she was. 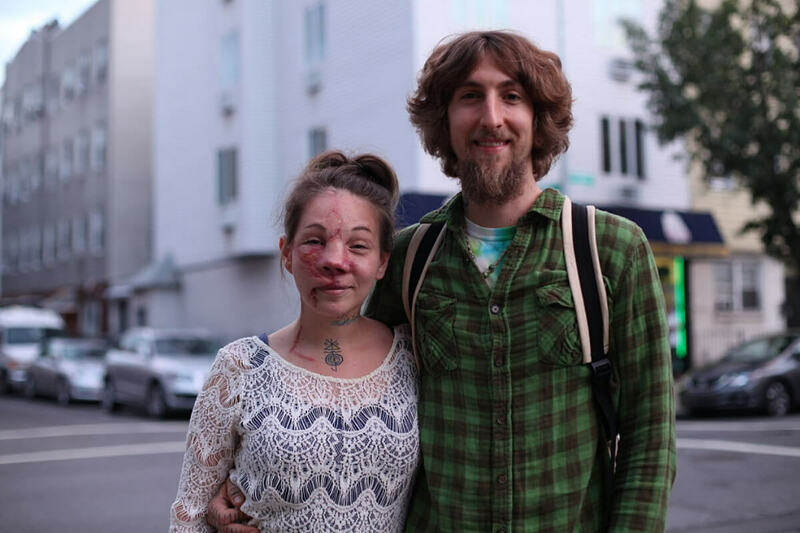 With the odds stacked against her, Jennifer met her husband Dustin Van Overschelde. The two married and Jennifer was happy she finally had a partner who loved her for her and didn’t care about appearances. This was a well-deserved change from the years of bullying Jennifer had to deal with as a child. Continuous bleeding might sound like something easy to deal with, but it leaked into every part of Jennifer’s life. Her gums were so sensitive that she had heavy tooth loss. Even brushing her teeth at night could cause Jennifer to bleed to death. It also meant she couldn’t have dental work done to fix these issues. Jennifer refused to let AVM stop her from living a full life. Despite the risk of death, she survived two successful pregnancies and is now a happy mother of two girls, Marlina and Kiah. Luckily, there is only a 5% chance AVM is passed through genetics, so Jennifer and Dustin felt confident that their kids would live a happy life. 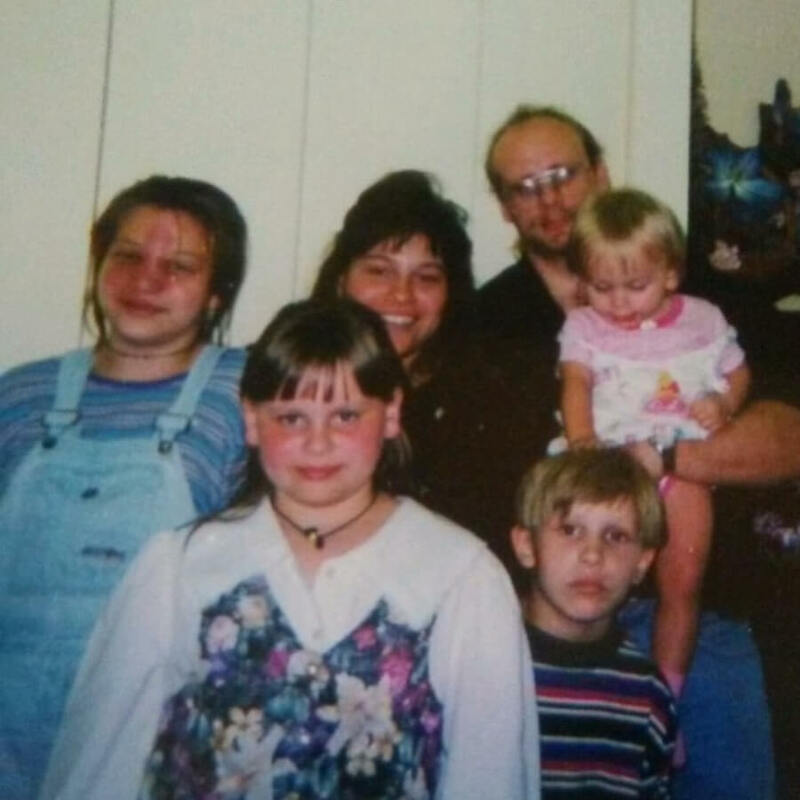 Despite having a happy and loving family, Jennifer still struggles when it comes to living a normal life. She could not hold down a job due to her appearance and has been a stay-at-home mom since 2013. 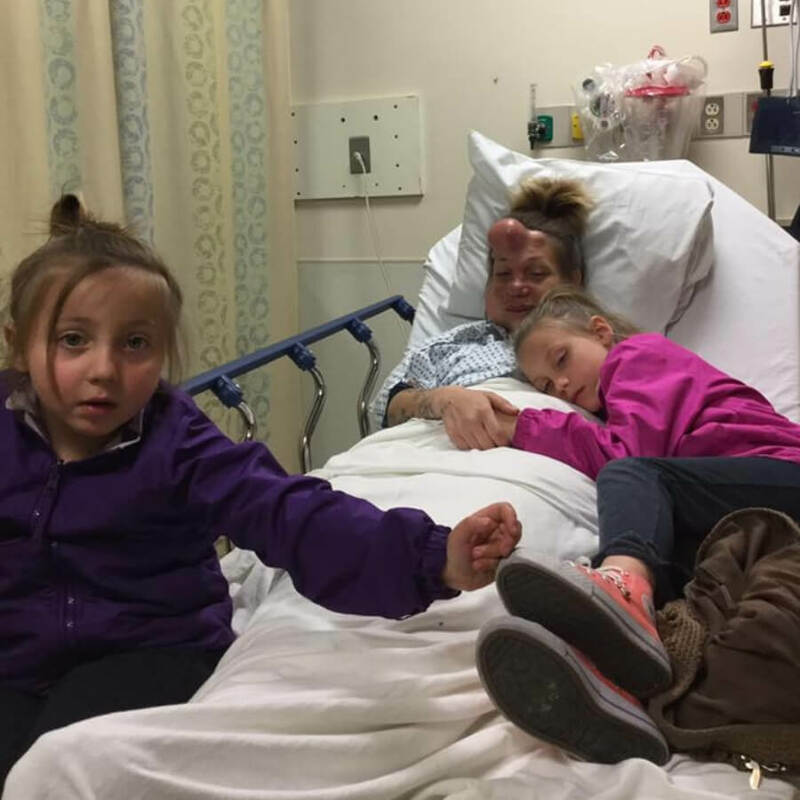 Jennifer also down-plays her condition for the sake of her daughters, because she does not want them to be bullied like she was. After years of downplaying her condition for the sake of her kids, Dustin finally prompted Jennifer to get help. 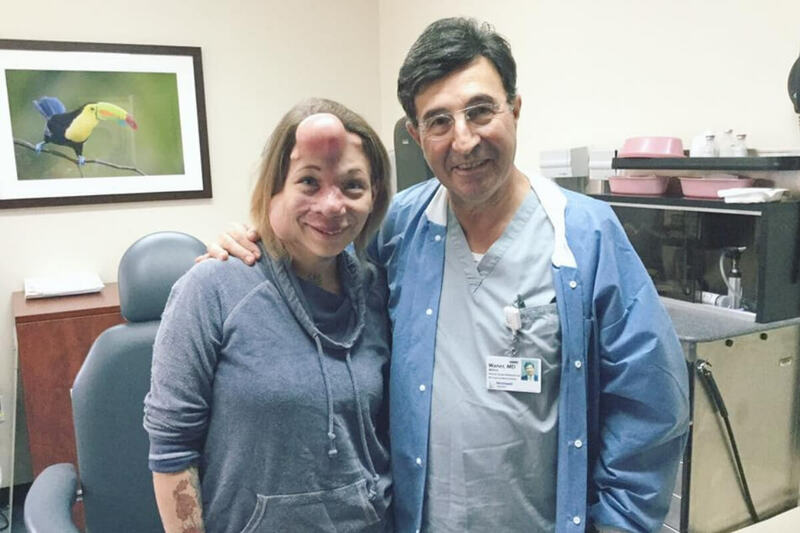 She reached out to a new doctor, Dr. Milton Waner at the Vascular Birthmark Center of New York. They were a far way away from South Dakota, but they were ready to try a risky but worthwhile experimental surgery. The new experimental surgery came down to facial recognition. 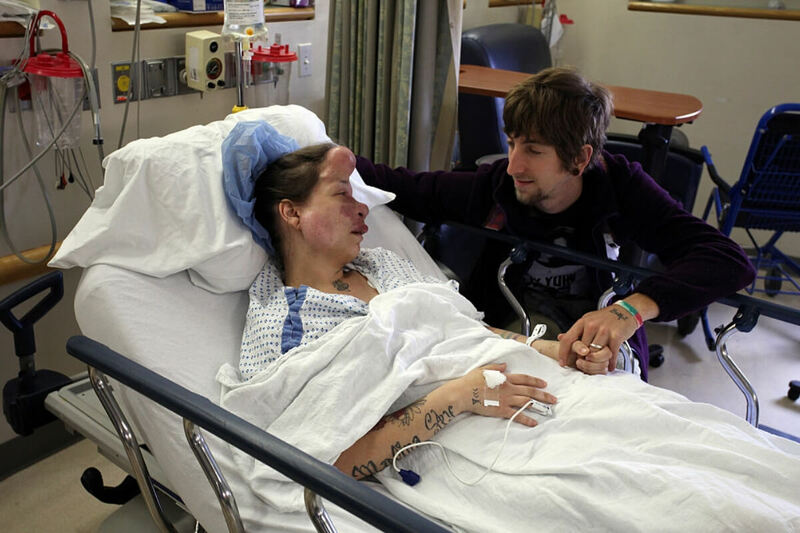 The doctors will remove all the AVM, which is the pink “birthmark” on her face and cover it with new skin. They will even remove her nose and reconstruct one using bone from her rib. The surgery wasn’t going to be easy, but it’s the preparation before that would be the hardest for Jennifer. 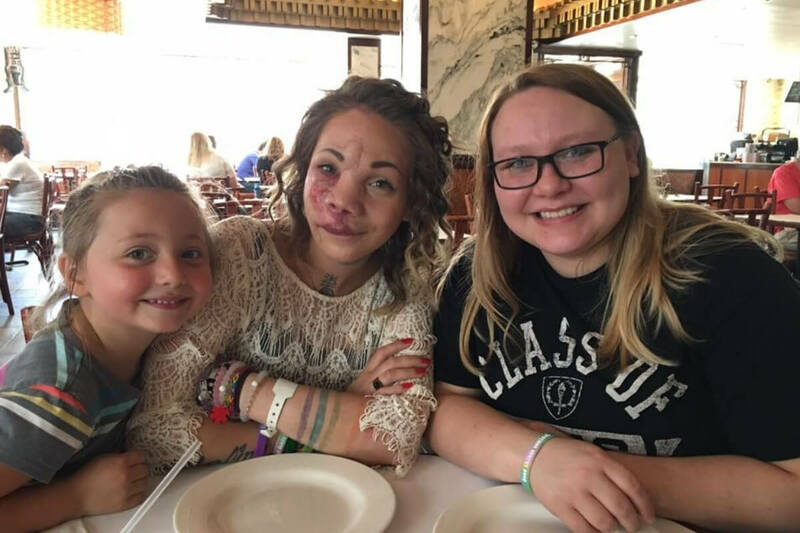 In order to be able to have enough skin to cover the AVM that they remove, doctors will have to expand and stretch Jennifer’s original facial skin. That’s where the experimental idea of using balloons came in. The doctors believed that if they used surgical balloons and saline injections, they could stretch the skin to prepare it for the surgery. Jennifer likened the experimental balloons to having breast implants in her face. They began small, and every eight weeks she would get more and more saline injected into the balloons. The tissue-expanding balloons look alarming, but the doctors reminded Jennifer it would be worth it in the long run. Jennifer thought nothing could be worse than the bullying she experienced as a child, but sadly, she was wrong. With these tissue expanders, Jennifer said she would get called names and stared at in public. On top of that, they were also incredibly painful, since they’re stretching your skin to the limit. Jennifer just kept reminding herself it would all be worth it. Despite the pain, Jennifer kept up her hopes that the experimental surgery would prove to be worth it. 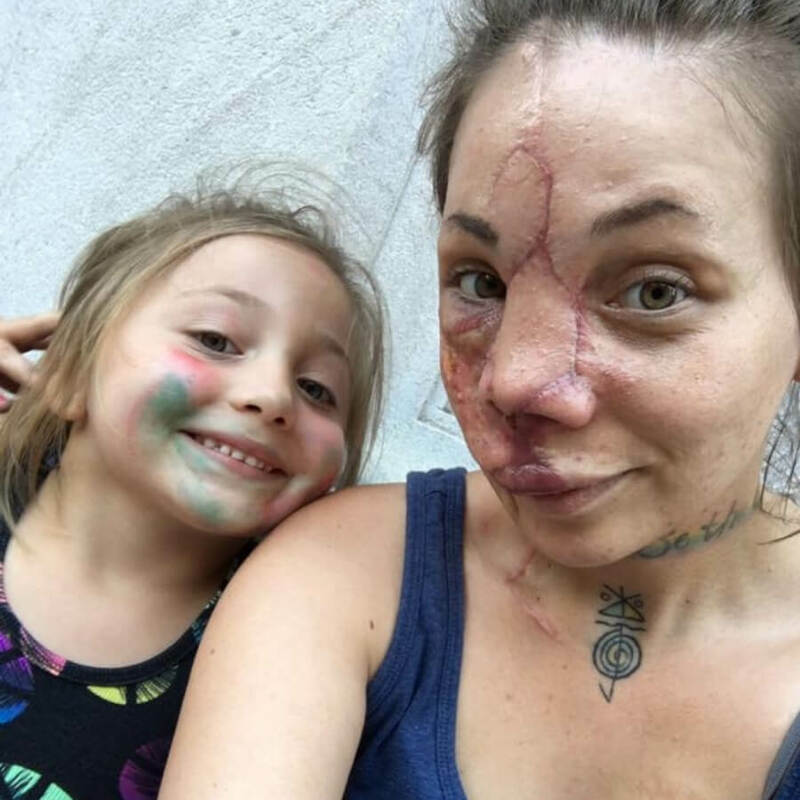 Not only does she hope the surgery helps to stop the bleeding and bullying, but she hopes it helps her live a normal life. Jennifer said she’d be the “happiest woman in the world” if she could go to lunch without being stared it. After months of injections and waiting, the time had come to have the final surgery. On May 18, 2016, Jennifer is in for her largest surgery. On this day, most of her AVM was successfully removed and the balloons were taken out. 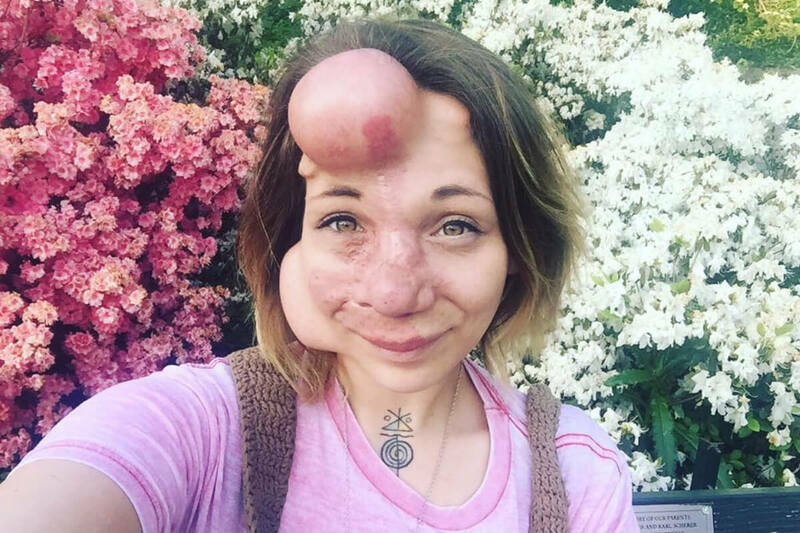 The doctors were able to use the skin she had grown from the expanders to reconstruct the areas. The first major surgery was a success, but it would not be the last. 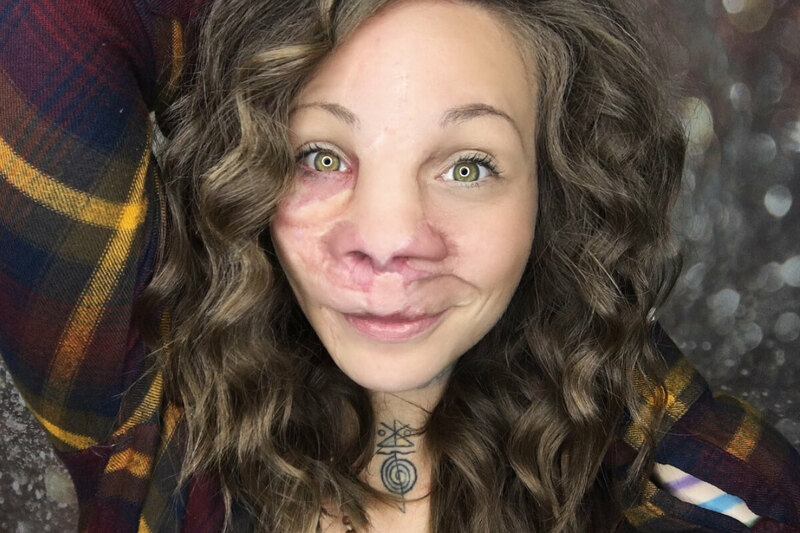 One of her skin flaps from the first major surgery didn’t survive. 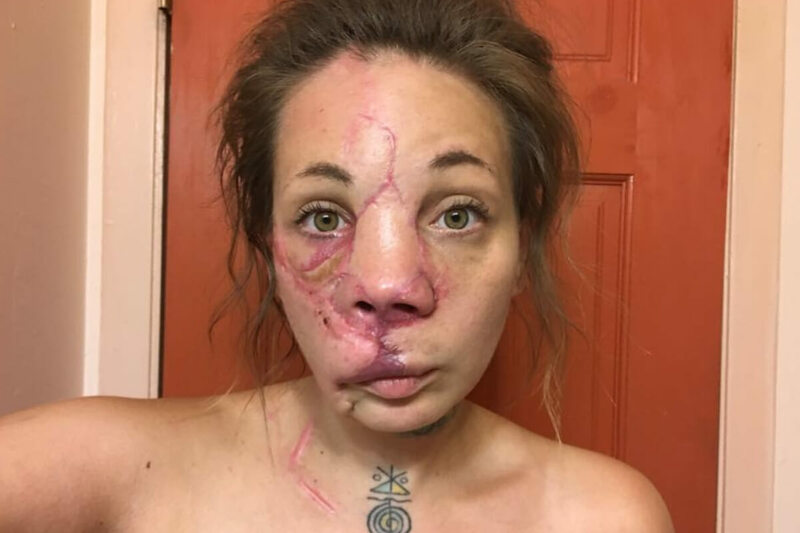 Jennifer also had pieces of AVM remaining on either side of her nostrils. 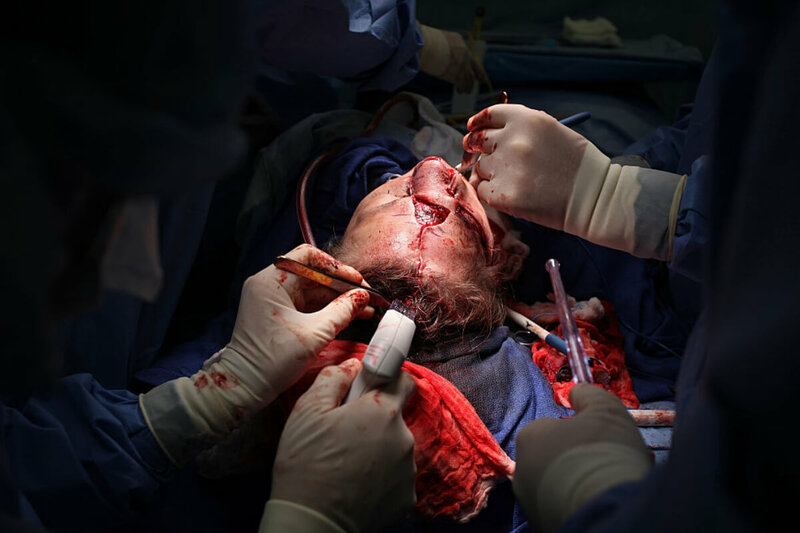 She underwent a second and third surgery to remove the final pieces of AVM and they were also a surprising success. The summer of 2016 for Jennifer was all about learning patience. While she had suffered with AVM all her life, knowing that recovery was so close, yet so far away, really took a toll on her. It helped that her entire family moved with her to New York City to be close to the doctors and keep her spirits up. Jennifer’s first four surgeries were all focused on removing each bit of AVM and making sure it wouldn’t return. 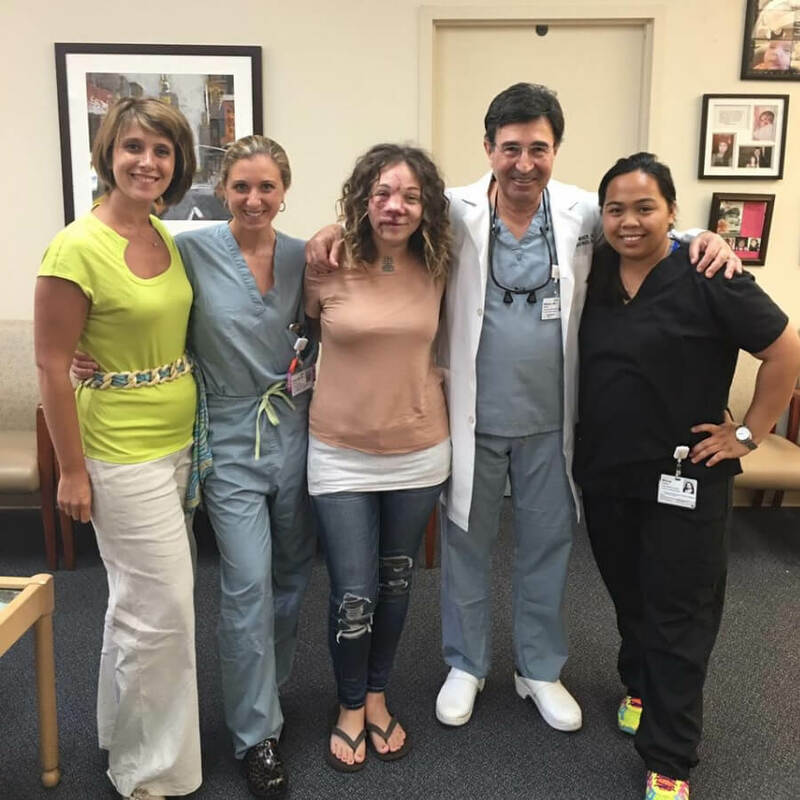 The surgeries healed quickly and allowed Jennifer to go back for another two surgeries, this time they were cosmetic. They focused on pulling healthier tissue together, removing unnecessary scarring, and cosmetically adjusting some facial elements. After four months of surgeries, it was finally over. Jennifer was ordered to a strict healing regiment. It was a difficult five months for a stay-at-home mom, but it was worth it. 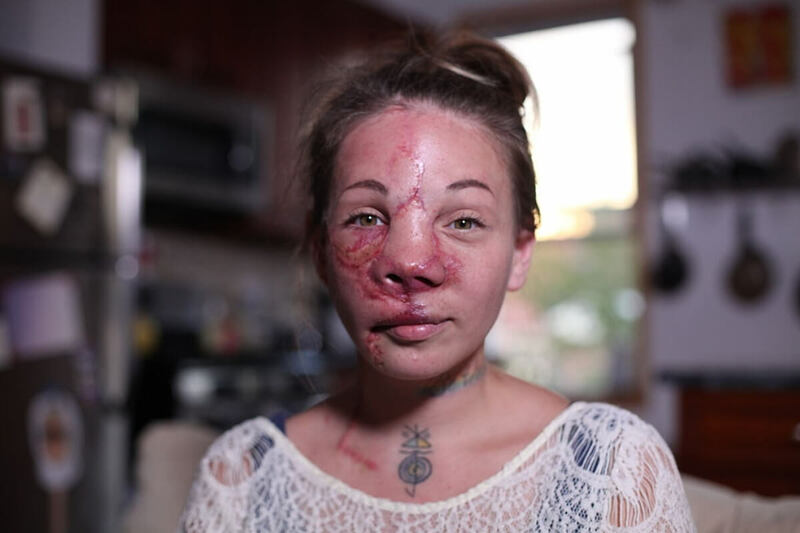 During her healing period, Jennifer only had a couple nosebleeds and gum bleeds. Things were finally getting back to normal, but she would have to undergo one more surgery, and it was the one that scared her the most. All her life, Jennifer was taught that having a tooth fall out meant almost certain death. For her final surgery, she was told that they would be removing her dead teeth. Jennifer worried whether she’d even survive the dental surgery, but luckily she woke up hours later to see that her dead teeth were gone, and she was alive! 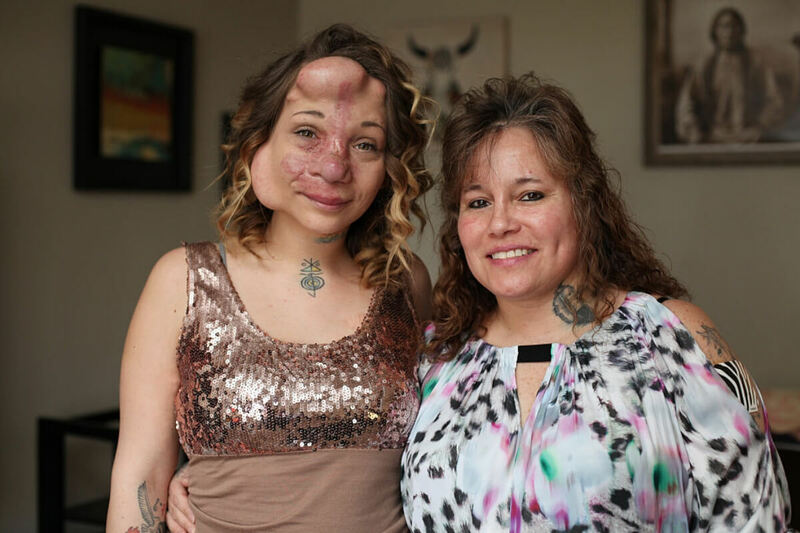 To date, Jennifer has had thirteen surgeries. It may seem like so much stuff has been done already, but there is even more to go. Sadly, Jennifer still has patches of AVM that have come back that she needs to remove. She will also need mini liposuction to correct her face so they can continue to do more surgeries. While Jennifer’s love for her children never changed, she finally feels comfortable showing her daughters affection in public. Before the surgeries, Jennifer worried that giving Marlina a hug and kiss when she picked her up from school would bring attention to them. Kids even used to scream at the sight of Jennifer. Now, Jennifer can live life like a normal mother. 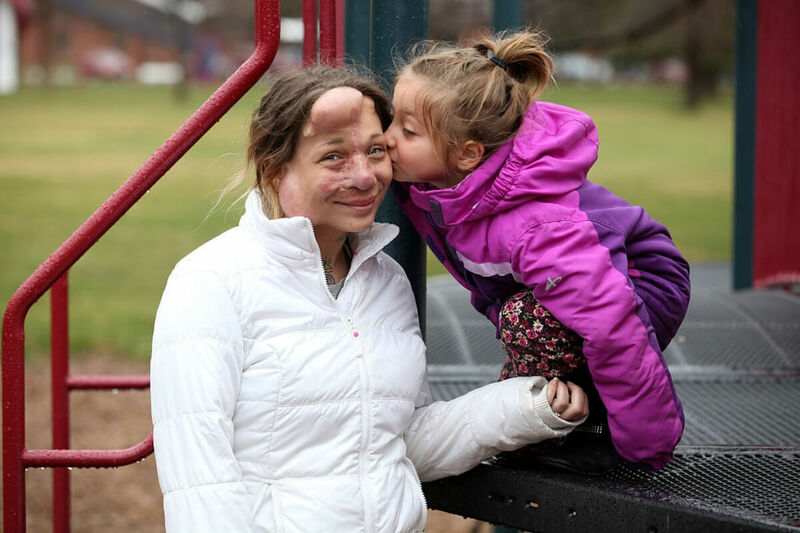 Even though AVM and her surgeries have caused Jennifer pain and suffering, she doesn’t regret a moment of her journey. Jennifer knows that with her husband and family by her side, she’ll be able to handle anything else life throws at her. For now, she’ll patiently await her next surgery date and continue living a life she never could before.